Today I will be reviewing the pink perfect blush created by Erborian. 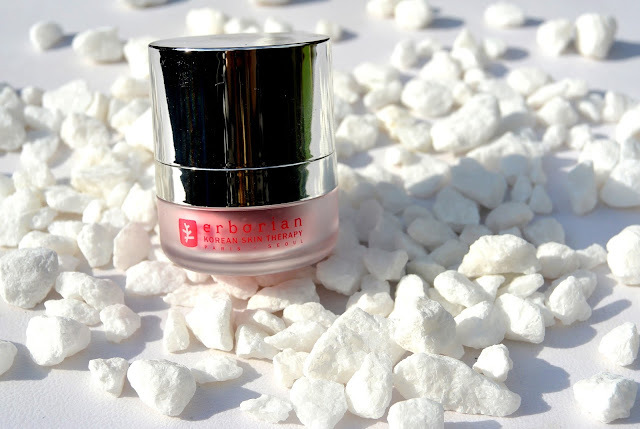 Erborian is mostly known for their skincare. 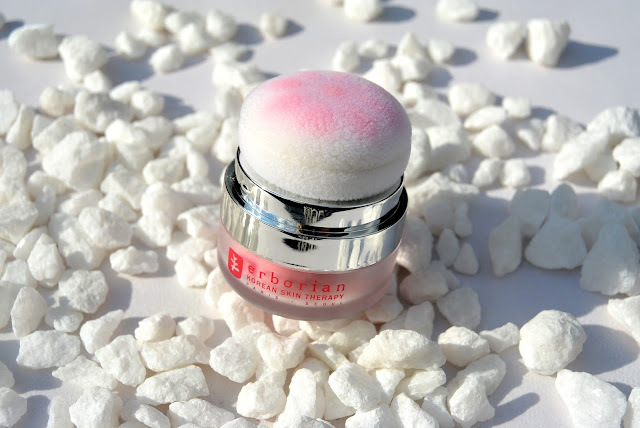 All the products created by Erborian are inspired by several beauty products and rituals from all around the world. That's what makes this brand so special and so useable for everyone. Their products are so pure, easy to use and effective. 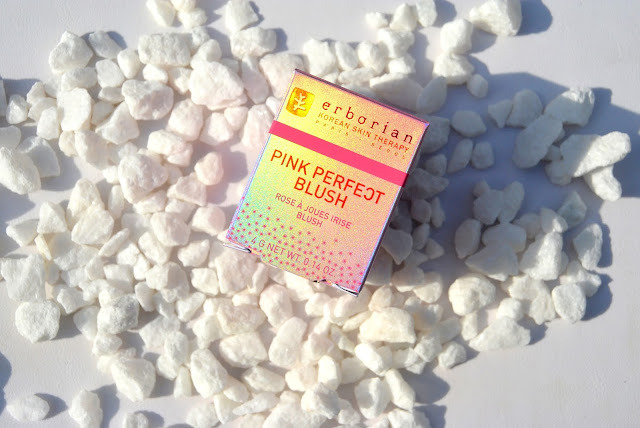 But now, let' get to the most important thing of this blogspot: reviewing the blush! 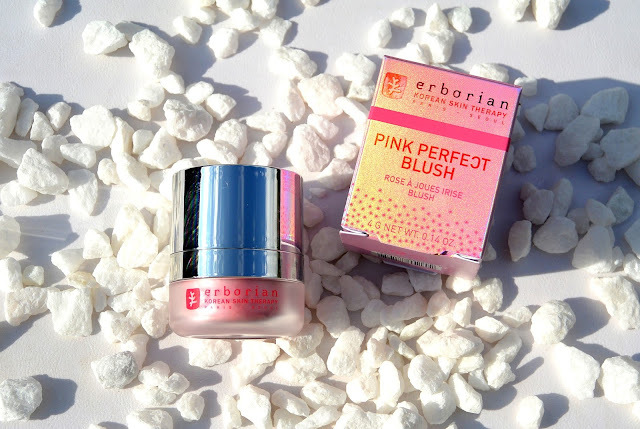 Pink perfect is a line created in the Erborian skincare range. They have a pink perfect cream, and a pink perfect blush. Since I am really a blush addict, my choice was made quickly: I wanted the blush instead of the cream. When you open the product, you can see a little cushion. It is important to open the blush and remove the seal before you use it. When you tap a little while holding the blush upside down, the product will come on the cushion. The cushion is very easy in use, you don't need a brush to appluy this blush. I applied the product in the swatch above. It gives a light touch of pink to your makeup. 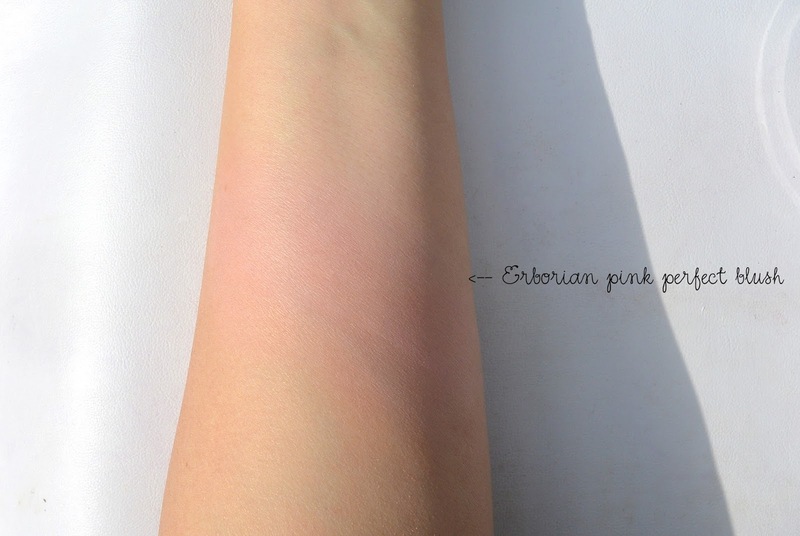 It is beautiful on pale skintypes (like me), but also on an olived skin. and it illuminates and beautyfies the cheeks. 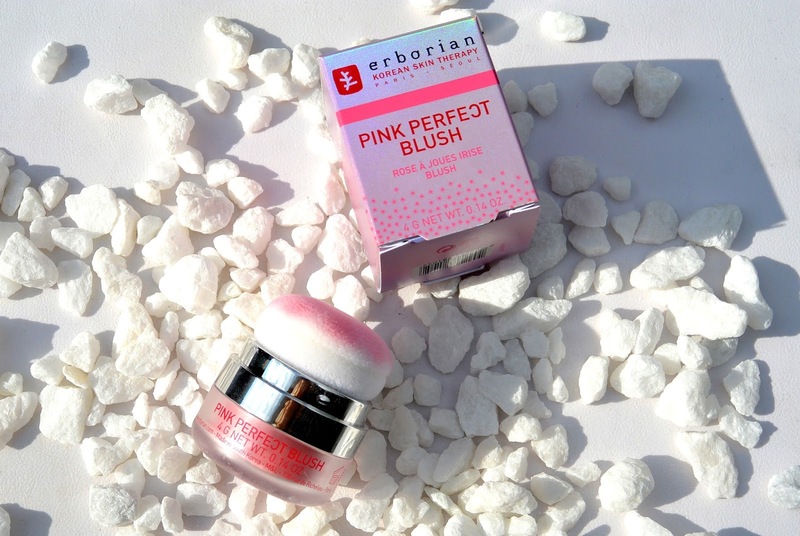 Would you like to apply your blush with a cushion (like this one) or do you prefer to use a brush? Oh uniek! Kan je er ook precies mee werken?